It was reading the experiences of other couples on the Bourn Hall Clinic website and attending an information event that helped Andrew and Nicola from Suffolk to make a decision about their next step. “Reading the stories of other couples that had been in our situation really helped us come to the decision that IVF was for us,” Andrew explains. The couple had met at Sixth Form College and married in September 2009. They had always wanted children and started trying straight away, but with no success. The months that followed were hard for them as friends and family members announced their pregnancies. Andrew remembers: “We called this period the ‘dark days’ as it seemed everyone else except us could get pregnant. They went to see their GP who referred them to their local hospital. Initial treatment revealed Nicola had a blocked Fallopian tube and their consultant referred them for NHS-funded IVF in Suffolk. The couple choose Bourn Hall and attended a seminar to find out more information. It was here that the science of IVF was discussed with them, something Andrew found useful. At the fertility awareness event there is a series of short presentations explaining why some people find it difficult to get pregnant and what can be done to help them. Bourn Hall’s specialist fertility nurses are on hand to provide one-to-one advice at pre-bookable mini-consultations. These confidential sessions allow people to discuss their own circumstances and get some specific help. 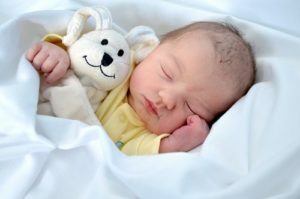 After attending an IVF seminar, Nicola and Andrew were reassured that fertility treatment was the right path for them. Now, 18 months on, they are proud parents to a gorgeous seven-month-old daughter Imogen. 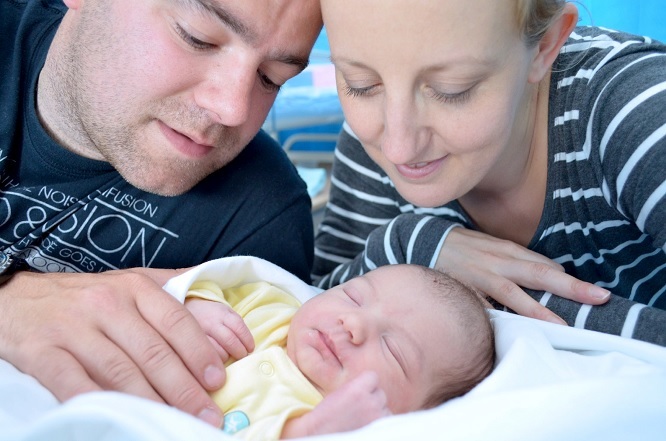 Reflecting on his IVF journey, Andrew had some advice for couples: “In hindsight, I wish we’d gotten help earlier as the process does take some time, but now we have Imogen it’s all been worthwhile. If you are interested in attending one of our Fertility Awareness Events please take a look at our events page – we regularly hold these events around the East of England so if our next event is not near you please check back for more dates.